Woodland Wicca Samhain 2017 – Seasonal Ritual & Halloween Gathering (28Oct17) | QuantumPhoenix.net – Esoterica, Paganism & Ritual Magic. Join us for the evening to mark SAMHAIN – the night for honoring our ancestral spirits! Outdoor Samhain is particularly intense because of the real dark (wet, windy) environment among trees and bushes that are already bare …! As evening falls, there is an eeriness that also becomes apparent.. Once at the ritual space, you will be immediately involved in the ritual – of the calling of the DarkLord, and communing with ancestors. Some divination work will commence before feasting. • This is an open ritual held in an outdoor park/woods with easy public access.. Out ritual Team will conduct key aspects of the ceremony, with plenty of opportunities for everyone to get involved in the actual ritual. •Please read this info section fully to get a good idea of what is involved, so that you are better magically prepared. Thank you. • There is a Fee of £3 which you pay The ferryman at the beginning of the event. *new date* Date: Saturday 28th October 2017. Meeting point: Woodman’s Pub (garden area), Archway Road, High Gate. Please meet at The Woodman’s Pub (Archway Road) from 3.00pm. You will be led to the woods at sunset (4.40pm exactly) where you will pay the `ferryman’ your fee, and enter ritual space! Ceremony begins at 4.40pm (at Sunset). • Crone Goddess magic- burning of regrets. • DarkLord Magic – Seasonal magic – Opening of Gateway to Underworld, communing / honouring the dead & ancestors. • Audience with Dark Lord (tbc) – attendees go and meet the Dark Lord 1-2-1 in a separate space for few minutes each (optional). -Non-pagans, friends/ families & children of pagans are welcome. 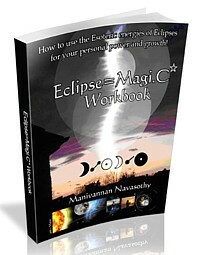 • eBook `Coven Guide: Become an initiated Witch‘ – written by Mani (Wiccan High Priest with 20+ yrs of experience in craft, coven & initiation). 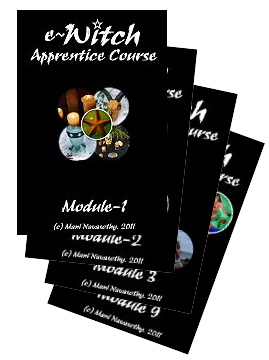 • eCourse – e-Witch Apprentice study course . (home study course in 9 modules. study at your own pace. Contact with Tutor for e-mail support. Includes ritual work, transpersonal psychology, all wicca subjects, tool making).